The story begins back in 1947 when Bertram and Lillian Grout opened a beach kiosk at Thorney Bay on Canvey Island. Prior to the Second World War Bertram trained as a baker at the Co-Op in Southchurch Road, Southend. During the war he saw active service managing the catering section. 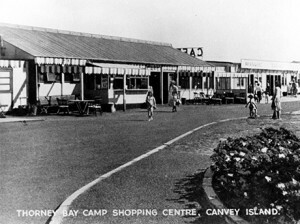 After he was discharged from the army along with his wife Lillian they opened a kiosk on the beach serving the many visitors that visited Canvey from the East End of London. 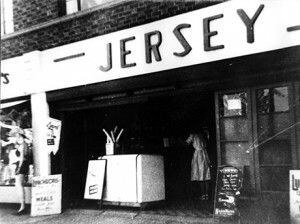 In the 1950s they opened the Jersey restaurant in Furtherwick Road, near to the Rio Cinema again serving teas, coffees and light snacks. 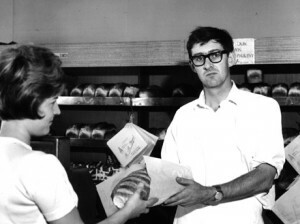 In the early 1960s a shop became vacant at 80 Furtherwick Road and Bertram and Lillian opened a restaurant there. 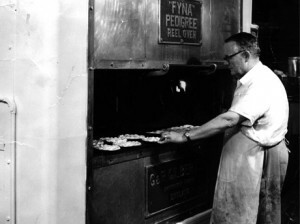 In his spare time Bertram began to make some loaves of bread which he initially gave away to his customers. They were delighted with the products and came back for more!! It was then decided to convert the back of the premises to a small bakery and the rest they say is history! The business was continued and developed by Bertam and Lillian’s son Noel and his wife Sheila. Until the 1980s we supplied lots of local, corner shops but Noel and Sheila decided to cut this back and to concentrate on expanding our own retail outlets. Since then the business has expanded to the twelve shops we have today. Noel and Sheila’s 3 children – Claire, Neal and Giles are now all involved in the business. The original belief of “Quality, Freshness, Service” is still adhered to. We strongly believe in producing high quality goods made from scratch using traditional craft skills and carefully selected ingredients. We insist on an excellent level of customer care and great tasting products.